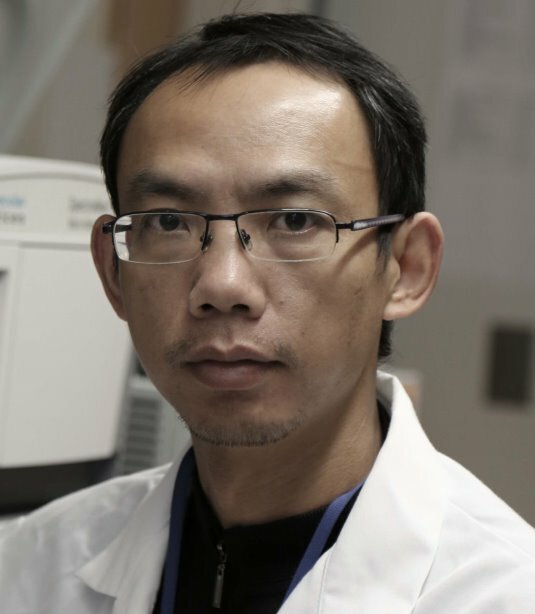 Home Our Faculty & Staff Faculty Yong Ran, M.D., Ph.D.
Our research focused on the cleavage mechanism of gamma secretase, signal peptide peptidase (SPP) and signal peptide peptidase like proteins (SPPLs). We have established a multi-substrate cleavage monitoring platform based on cell models and in vitro assay systems. This platform can help us to gain a better understanding of how gamma secretase works and how it reacts to various types of inhibitors and modulators. For the SPP and SPPLs project, we are working establish an accelerated screening method. These methods enable us to comprehensively and efficiently screen for drugs active against gamma secretase and SPP in a fraction of the time used in current gamma secretase activity assays.